The holidays are right around the corner, so one of the best things you can do right now is to scour the web for some of the best holiday gift ideas. If that’s the case, then you are in the right place! Colored Moments is here to offer you some of the best, most interesting personalized gifts for the holidays in the form of custom coloring books. What are custom coloring books? Simply put, these are coloring books created from your own pictures. You share the desired pictures and we will transform them into coloring books that you can share with your loved ones! 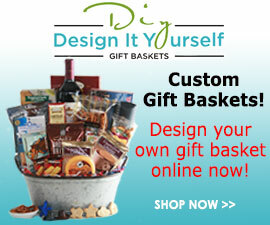 This is maybe the best way to offer a gift that has an astounding personal touch. Nothing can show your appreciation more than a gift which is personalized, unique and visually appealing. When you opt for these great coloring books you will have a result that’s second to none! Why is that? Because they are some enticing personalized gifts for the holidays that will immediately connect with your friend/family member/colleague at a personal level. Instead of trying to find a generic set of holiday gift ideas you should opt for something that’s meaningful and which will help you connect with others at a personal level. The custom coloring books from Colored Moments allow you to do just that. With our help, you get to have one of a kind gifts that you can share with those persons you can’t live without. Why should you opt for custom coloring books as a holiday gift? Our prices are some of the best on the market. 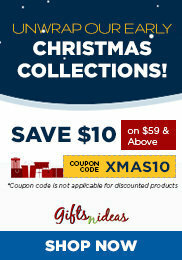 For a very affordable price, you will gain access to one of the best holiday gift ideas on the market! Plus, you will be able to make that special someone very happy. The custom coloring books are a visually appealing, impressive gift that will be take the breath away from any person. As you can see, the Colored Moments custom coloring books are some of the best personalized gifts for the holidays. If you are looking for some great, creative and unique gifts that you can share with the important persons in your life, you should consider giving these great coloring books a shot. You will be more than impressed with their high quality and affordable pricing. Plus, they are an unexpected, personal and emotional gift that will immediately impress any person! Purchase your own personalized coloring books right now, you will not be disappointed!